Jake Higginbottom is poised to claim his second top amateur title of the year at the 2011 Keperra Bowl. Higginbottom carded rounds of 67-67-69 to close the day at 13-under-par. Last week, the Novacastrian secured the 2011 Queensland Amateur title with a 2&1 victory over Tim Hart at Arundel Hills on Queensland’s Gold Coast. “I came into this tournament with plenty of confidence after the win at the Queensland Amateur,” said the 17-year-old Higginbottom. Rory Bourke sits at 10-under-par in outright 2nd position, with Michael Smyth and Queensland Men’s Stroke champion, Daniel McGraw, at 9-under-par and in a tie for 3rd position. Smyth has recently returned from an extended period of absence and feels refreshed from his time away from the game. In a tie for 5th position and five strokes off the pace is a group that includes current Australian Amateur champion, Matt Stieger, who posted the day’s low round of 67 to move to 8-under-par. 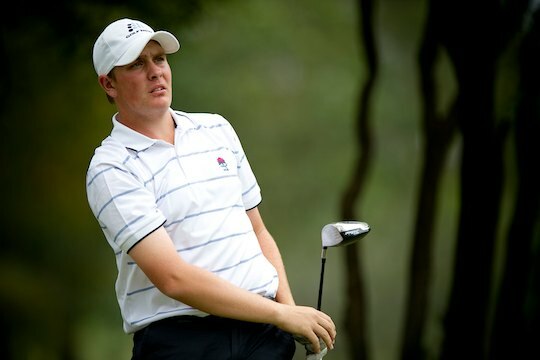 Also at 8-under-par is Brett Drewitt, winner of the recent SA Golf Amateur Classic. Drewitt has proven he is a player who can fire low rounds under pressure. Tasmanian Cory Crawford also sits alongside Drewitt and Stieger following rounds of 69-68-71. With 10 players within seven strokes of the lead, Higginbottom will need to remain composed to secure back to back top amateur wins this season.